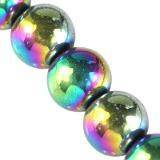 Glass beads are our big category in the shop, there are facetted, coated and transparent beads in it. We offer everything in small and wholesale packs. A discount of up to 30% awaits you. See! Small, multi-colored glass beads are the basis of beading, the most popular technique for creating jewelry. 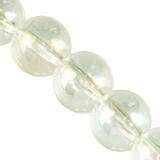 Glass beads are perfect beads for bracelets. Thanks to them, we can create various types of handmade bracelets. Beautiful looking jewelry is the result of creativity and creative work, but also the quality of the materials we used to make it. For this reason, in our store you will find only products from renowned and recognized brands - the best bead and accessory manufacturers to create jewelry from Austria (Swarovski) Czech (including Preciosa beads), Japan (TOHO ™ beads, Miyuki beads). You can choose from a wide range of glass beads of various sizes, dyes or coatings.With beads purchased in our store you can create original and unusual jewelry. Fancy earrings, colorful necklaces or elegant bracelets. Glass beads can also be used as sewn-on appliqués or decorating interior decorative elements. The possibility of using beads is very much. Only the imagination limits you. 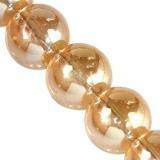 Glass beads is a basic product for creating jewelry and handicrafts. 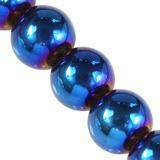 We import glass beads from the Czech Republic, Japan, Austria and China. Now you can create unique bracelets, earrings, necklaces, or various types of decorations and works from handicrafts. 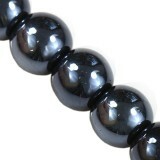 In our offer we have glass beads of various sizes, with different tints or coatings. Very popular glass beads are small beads, coated beads, glass beads or a new generation of beads to create CrystaLine bracelets, faceted beads. 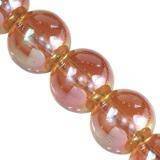 Another popular product is Venetian glass which we sell in the form of Murano lampwork imitation. Czech glass beads, Swarovski crystals and Japanese TOHO beads or Japanese Miyuki beads have separate categories to facilitate the purchase. 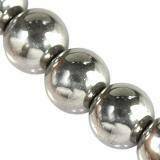 Recently, foreign beads, which are prepared as necklaces or bracelets on hand or on foot, should also be considered. It all depends on what the consumer is looking for.Certainly such beads can be a perfect gift for a little girl who likes different trinkets. 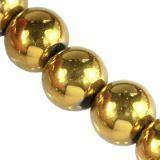 The fashion for glass beads is so intense enough that it will also apply to retirees. After all, a woman wants to look attractive at any age, so also for older people necklaces or bracelets made of glass beads of many colors will be prepared. 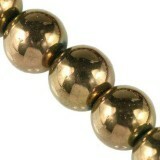 Another very interesting offer will be the individual design of glass beads. 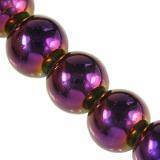 You can buy wholesale glass beads at sensational prices in wholesale packs, usually on strings around 80cm. Wholesale prices are cheaper by an average of 36%. You can also buy in smaller retail packages. 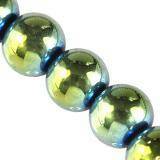 In our store we sell glass beads of various sizes 2mm, 4mm, 6mm, 10mm, 12mm, 14mm, 16mm. Most often, decorations such as glass beads will be used by us in personal stylization. For example, women like a lot of such interesting trinkets that can improve their appearance in very different circumstances. For example, we will always try to look exceptionally attractive at various occasional parties. Women have a full range here. A visit to the shop where glass beads will be sold may drag on, because we will definitely come across a lot of different articles. Beads can be bigger or smaller. In addition, they can be made of different types of glass. Usually, we also have access to some experienced customer adviser who will be able to prepare precise specifications for us. On the spot in such a store or in a warehouse, we can find a lot of very diverse beads in terms of color.Blue or red glass beads are especially liked here by young women who are going to a disco. Their size will also depend on how wide the wrist of a young woman is. We should, of course, also analyze quality certificates each time. First of all, we need to know exactly how many beads we have to choose. Of course, you have to reckon with the fact that more durable and more stylistically interesting glass beads will be more expensive. Very often, however, even for better products, you can come across promotions. In our offer you will also find beautiful faceted beads, various colors including transparent beads on ropes, or on pieces.